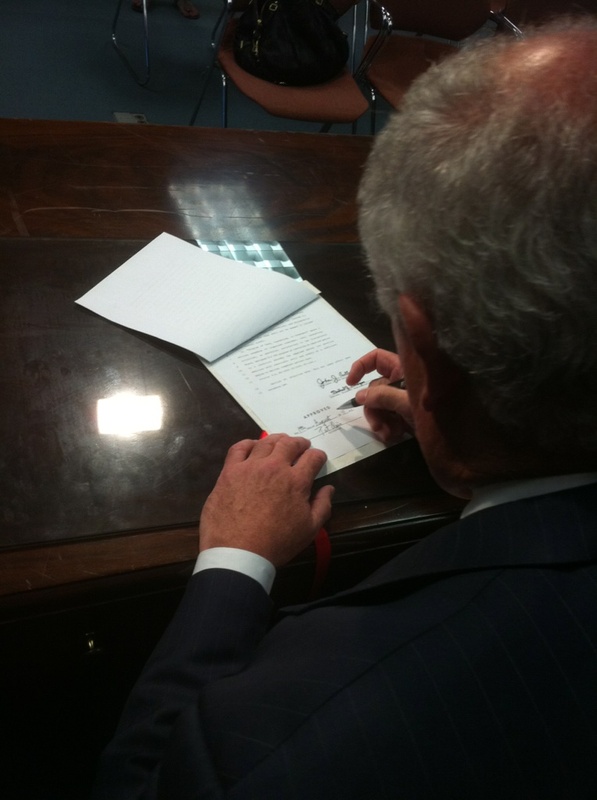 Home > Uncategorized	> New Chiropractic Scope Bill Signed! New Chiropractic Scope Bill Signed! Today at 3:45pm Gov. Quinn signed SB1843, the ICS’s clarification of the chiropractic scope of practice. Effective today, Chiropractic Physicians may not only administer atmospheric oxygen, but make recommendations regarding the use of non-prescription products (i.e. OTC medications). As with any other treatment or procedure, a medical provider may only act within the confines of his/her personal education. umm, what else can I say, besides THANK YOU to the ICS and their great staff for all the hard work it took to get this critical piece of legislation passed. Fantastic job… Long overdue and critically necessary step for chiropractic medicine. Nice work ICS! I appreciate all the hard work that went into making this happen. Nice work ICS. Thank You. SO much progress in 2011 and SO much more to do. The group functions as a legislative action center. When bills are pending in a given jurisdiction and support is needed, we notify all members promptly. I would like to thank everyone for all the support you’ve given. It certainly wasn’t easy, and could not have been done without the help of all of our Illinois doctors. On another note: I always welcome comments from all of our doctors on this website, even if it involves a difference of opinion. Healthy discussion is the only we move past the infighting and demonizing that can plague any community. However, we do require that comments, whether negative or positive, not be anonymous. We will be happy to post your comments along with your name. More Photos From the Signing Health Benefits Exchange Commission has been finalized.